At TOPS, we understand what its like to lead a busy life and balance your budget at the same time. That's why we offer you TOPS GasPoints... watch our new TV commercial and see what TOPS GasPoints can do for you. We get you so you can get on with your life. 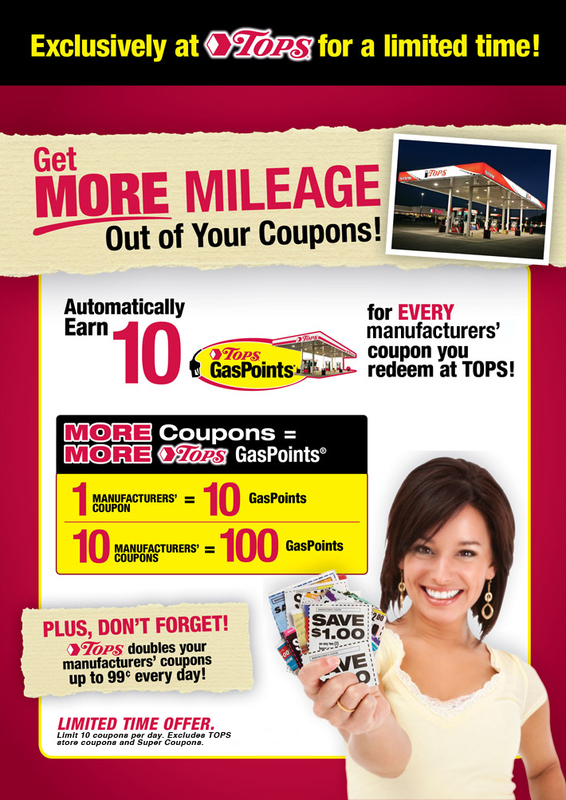 Save 10¢ per gallon for every 100 GasPoints you redeem at a TOPS Gas Station. Just scan your TOPS BonusPlus® at the pump and watch your gas price drop! 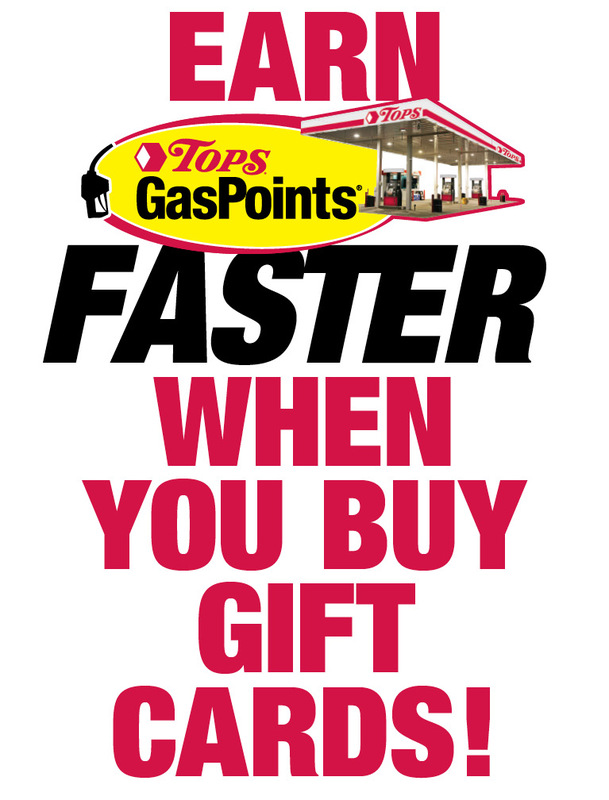 TOPS GasPoints are the points you earn towards fuel savings just for shopping at TOPS. 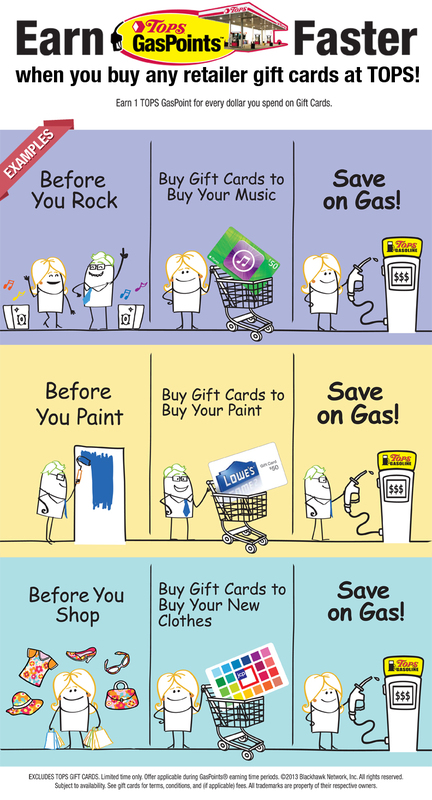 GasPoints can be redeemed at any TOPS Gas Station to save at the pump! How Many TOPS GasPoints do I have? 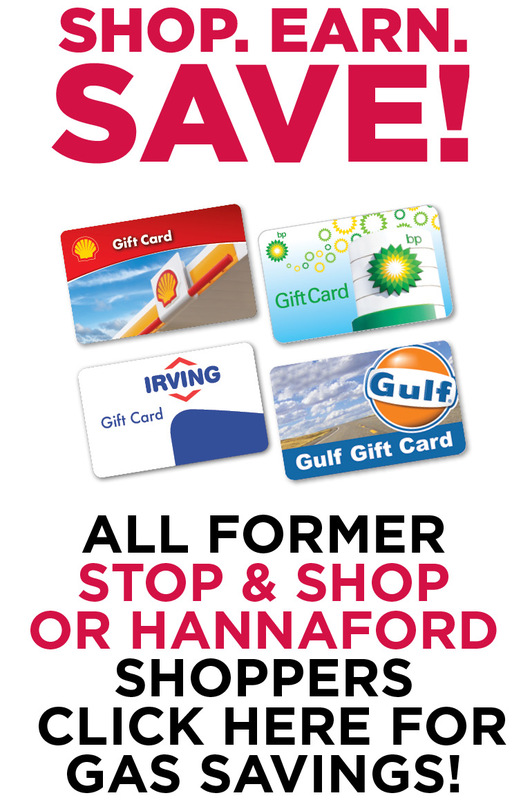 60 Convenient TOPS Gas Stations And more on the way! 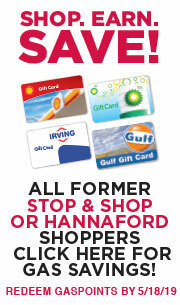 Unused GasPoints® expire at the end of the redemption period. Discount valid for one vehicle fill up in one transaction only (max. of 25 gallons of gasoline per transaction). Limited to one vehicle for one transaction only according to legal guidelines and to ensure our customers' safety. No cash back. Discounts are worth no cash value and are not valid with any other offer and are not subject to doubling. After redeeming your TOPS GasPoints®, you will continue to earn points again for all your grocery purchases through the duration of the promotion. The following items are excluded from earning TOPS GasPoints®: milk (PA only); alcohol; prescriptions; money orders; postage stamps; lottery tickets; gasoline purchases (both prepaid and at the gas station); TOPS gift cards; amusement park and any other tickets; Western Union wire transfer services; fax service; copying machine service; coin operated vending machines; utility payments; delivery charges; dry cleaning; fund raising activities and donations; returned check service fees; payments toward charge account balances; and bottle deposits. TOPS GasPoints® are calculated after all of the aforementioned items, all store discounts, and all store coupons have been subtracted from the order. There will be no points earned on the amount of sales tax and other taxes owed by the consumer. We reserve the right to limit quantities and cancel or suspend this promotion at any time.